In this video Peter James shows how layering Keyboard sounds can provide an effective way to build a song, and create more variety in your sounds. You'll see how he combines sounds in Kontakt, MainStage and Omnisphere. 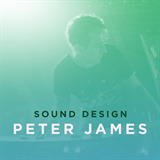 In this Course you'll learn Sound Design Tips and Tricks with Peter James.